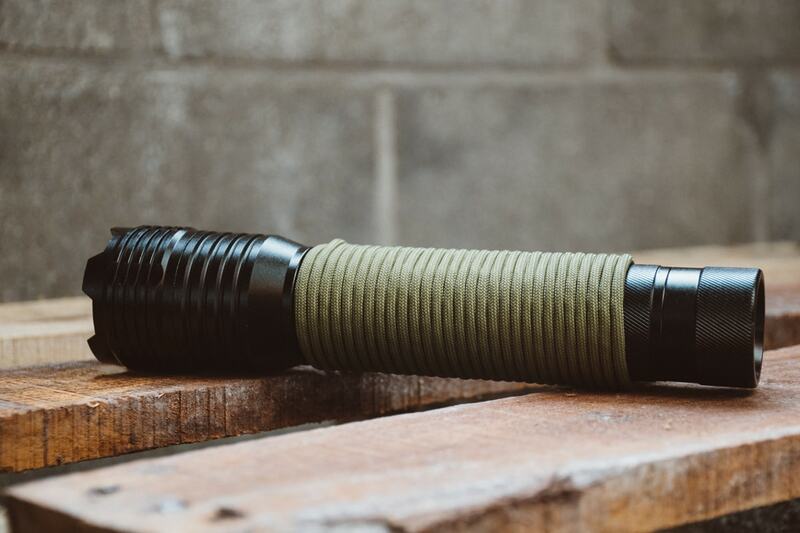 WRAP IT ALL: The 25 Best Paracord Handle Wraps. 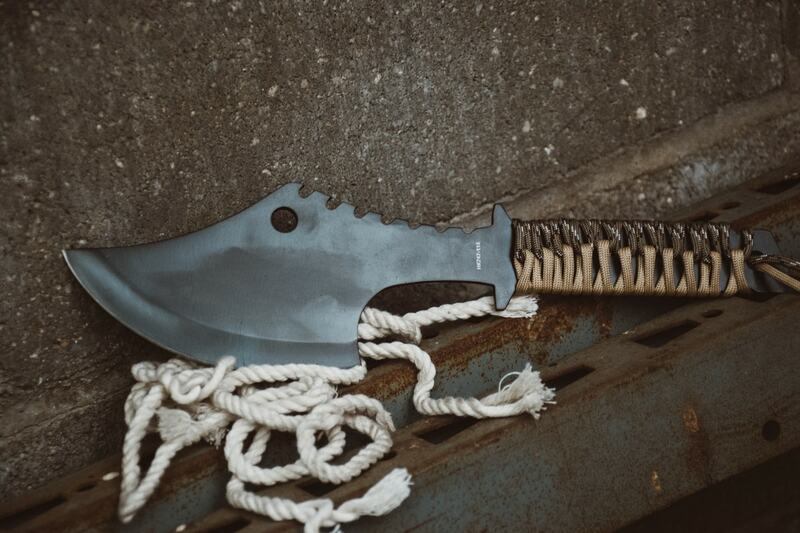 Knives, axes, flashlights, tomahawks, paddles, oars, and swords can all be wrapped with paracord. Anything with a handle can be—coffee mugs, dresser drawers, hammers—anything! The world is your oyster. 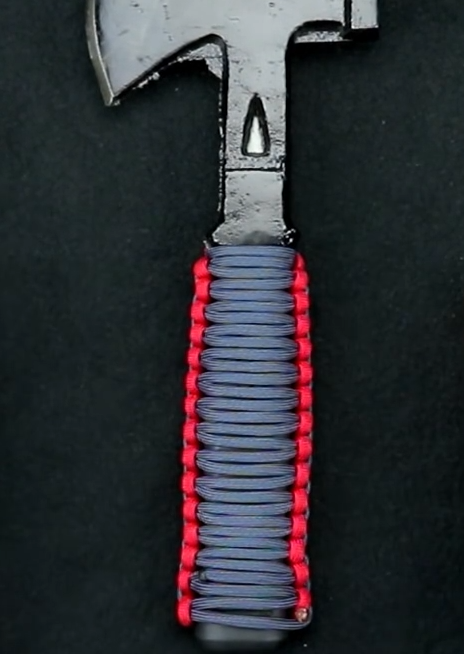 There are a ton of ways to wrap a handle with paracord. Here are 5 different ways—of varying difficulty—for you. Because these wraps are such a great way to store paracord, they use a lot of the stuff! Before you start, make sure you have enough paracord to complete your project. Visit our store to view all our color options. The cobra weave is one of the most basic and versatile weaves in the paracord community. It's pretty easy to learn and it's a knot, which means that after each pass, the weave holds itself in place, making it perfect for a handle wrap. 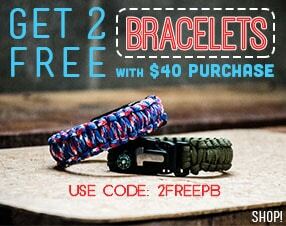 If you have made a standard paracord bracelet, you probably already know how to do this one. Just replace the central strands of the weave with the handle of whatever you are wrapping. If you would like to see a video of how that works, check out our video tutorials page to find instructions. This one isn't really a weave—it's more of a repeated looping—thus the name. It gives it a unique look that is even better with two colors. It's especially useful for flat handles, such as knives or hatchets. Check out our subscriber exclusive picture tutorial here. This instructable is also very helpful. This twisting grip is a little more decorative than functional, but it will still give you a good grip, spruces up the handle, and stores a good amount of paracord. If you can do the cobra weave (#1 on this list) then you can do this twisting wrap, also called the DNA weave. It's done exactly the same, except you don't switch what cord is on top. It's an easy wrap that you'll be very happy with. This wrap is good for round handles and is pretty popular for canoe paddles. Side note: I've made this one into a bracelet with micro cord and it comes out pretty cool too. Video instructions for this weave can be found on our video tutorials page. Since this wrap is done from a single strand and is quick release, it makes a perfect wrap for your survival bag or a camping/hunting trip. All you have to do to deploy this wrap is untie the single knot at the bottom. For this and other tutorials, check out our video tutorials page. The Turk's head wrap is a little more difficult—certainly more time consuming. One thing is for sure, the Turk's head handle wraps look pretty awesome. 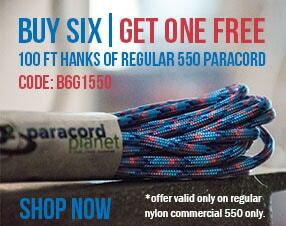 Paracordist Creations has a series to walk you through the whole process. It's very detailed and in-depth, so you can make your wrap come out perfect. 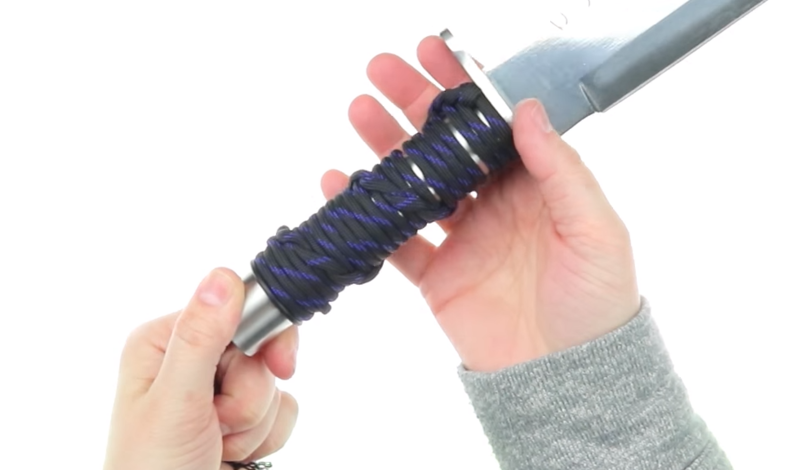 Have you made a handle wrap before? Let us know on Facebook, Twitter, Pinterest, Google+, or Instagram.